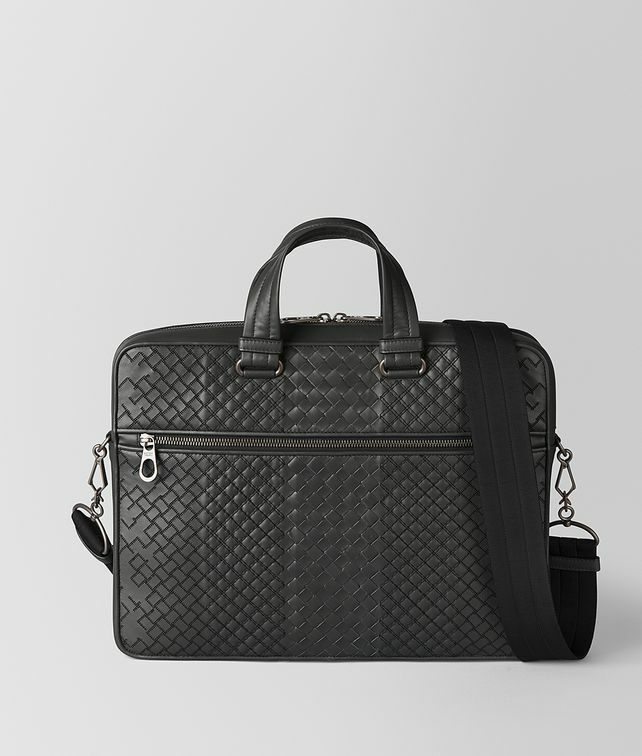 This slim briefcase is designed with embroidered VN calf leather intrecciato. The cotton-lined interior features a padded section and two flat pockets. Finished with padded top handles and an adjustable, detachable nylon shoulder strap.